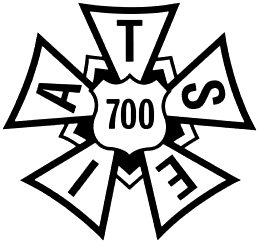 The Motion Picture Editors Guild is a national labor organization currently representing over 8,000 freelance and staff post-production professionals. Ours is the world’s premier craft guild that sets the standards for excellence in the post-production industry. MPEG is currently looking to recruit a Field Representative for our Los Angeles office. A brief job description is included below; interested applicants can submit their résumé – along with a cover letter detailing the reason(s) he or she is interested in this position – to Shanda Zuniga at: szuniga@editorsguild.com. Enforce the terms and conditions of the MPEG Collective Bargaining Agreements. Address member and employer issues, compile pre-grievance information, represent members during investigatory and disciplinary meetings, assist in all collective bargaining efforts (including contract campaigns), ratification processes, visit worksite locations and engage with membership, investigate potential contract violations. Educate members on the terms and conditions of various Collective Bargaining Agreements. Must be proficient in Outlook, Word and Excel. 3-5 years of union-representative experience is required; labor background in the entertainment industry is preferred.